The first flexible shoe drip-mat for the modern home. Practical, stylish and colourful. 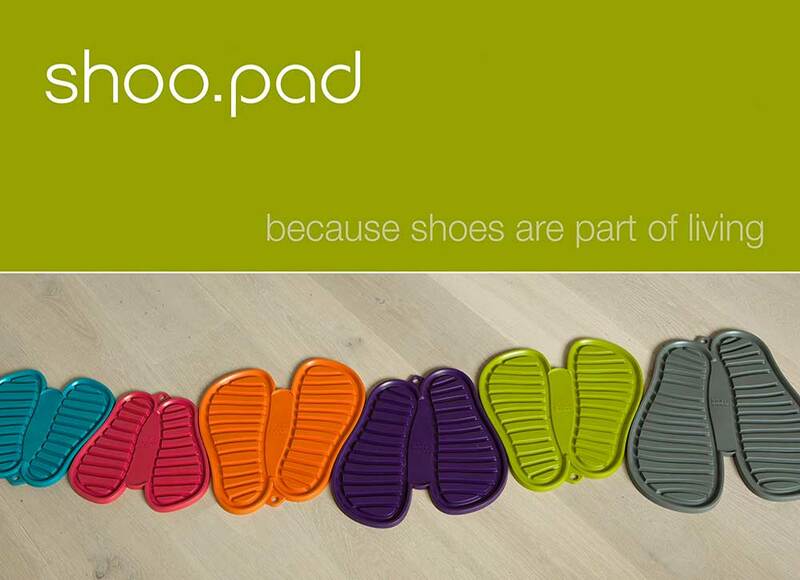 Easy to clean and easy to store, shoo.pad protects floors from dirty or wet shoes. 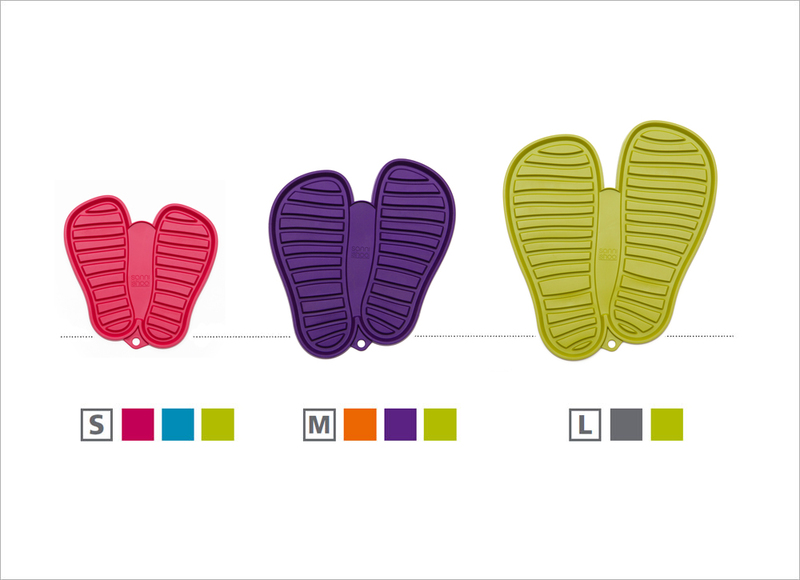 Intelligent composition and deep grooves allow shoes to dry in no time at all and look good at the same time. 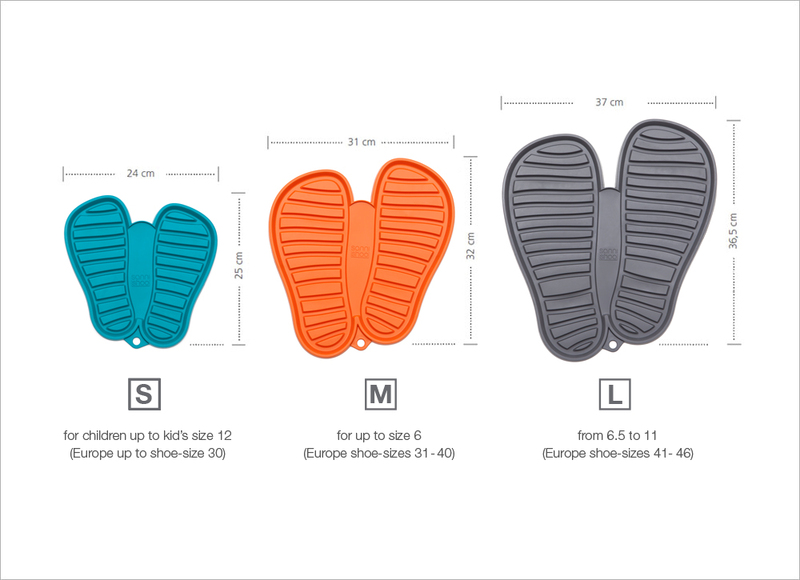 Shoo.pad comes in three sizes S, M and L (S for toddlers and small kids up to shoe size 30 or UK kid’s size 12. M is for everyone up to shoe size 40/UK 7 and L is for shoes up to size 46 or UK 11). 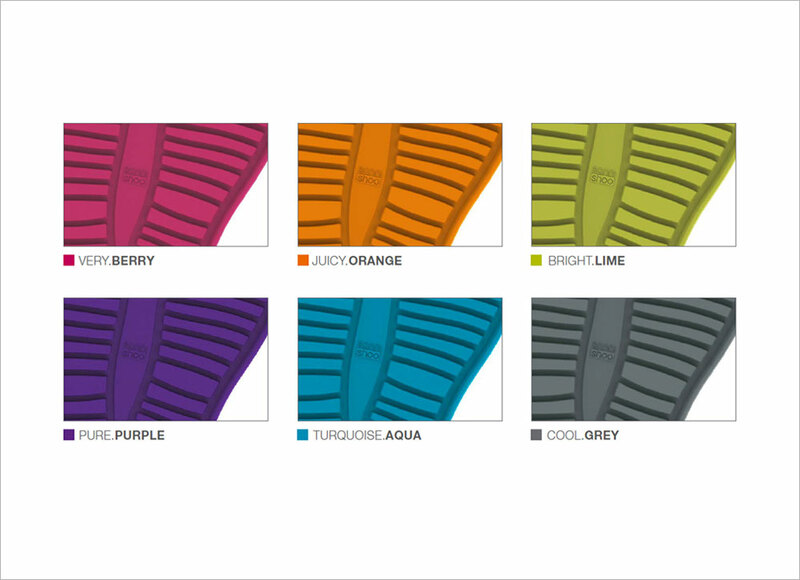 Made of flexible, resistant TPE.